Don't give out medical advice for free! 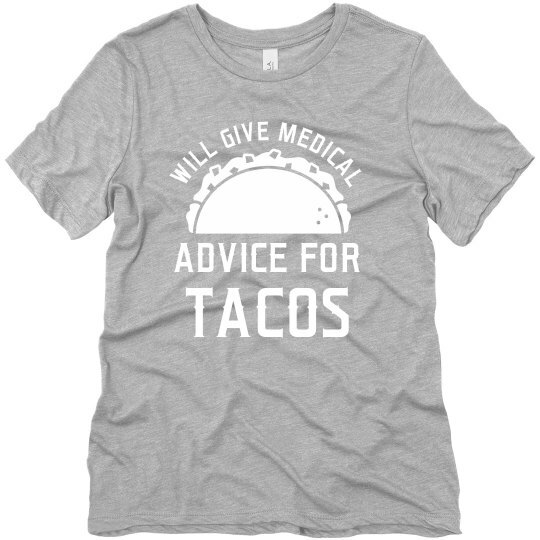 They need help and you want tacos, so start making it a fair trade with this nurse t-shirt. Customize it with your name on the back, and be the most popular (and full), medical professional on the streets.